The Scottish people have spoken, and the country’s powerful whisky industry is raising a quiet toast to the vote against independence. After voters chose to keep Scotland within the U.K., David Frost, CEO of the Scotch Whisky Association, issued this statement on the group’s website: "We welcome the stability that this choice brings and now urge politicians of all parties to work to bring our country together. The Scotch whisky industry is determined to play a leading role in shaping discussions that are fundamental to the future success of our industry and our nation." Frost and other whisky industry leaders have reason to celebrate. Distillers were worried that a vote of “yes” to independence would bring financial uncertainty to the growing industry. There could be possible barrel taxes, re-negotiated trade agreements and currency uncertainties that might tarnish whisky’s popularity and make it more expensive to sip. Other than oil, whisky accounts for Scotland’s greatest export earnings. Bloomberg reports that Scotland’s 109 distilleries sold $7 billion worth of whisky abroad last year, with the U.S. high up on the list of whisky consumers. In fact, according to the Scotch Whisky Association, the U.S. was the world’s largest consumer of scotch whisky in 2012, lapping up 127.5 million bottles of the spirits, worth about $1 billion. Diageo PLC is the world’s largest producer of Scotch whisky. It’s CEO, Ivan Menezes, told The Wall Street Journal on the eve of the referendum that it was important for Scotland to remain part of the E.U. to take advantage of free trade agreements. Diageo’s brands include J&B, Johnnie Walker, Talisker, Lagavulin, Dalwhinnie and Old Bushmills, which is distilled in Ireland. 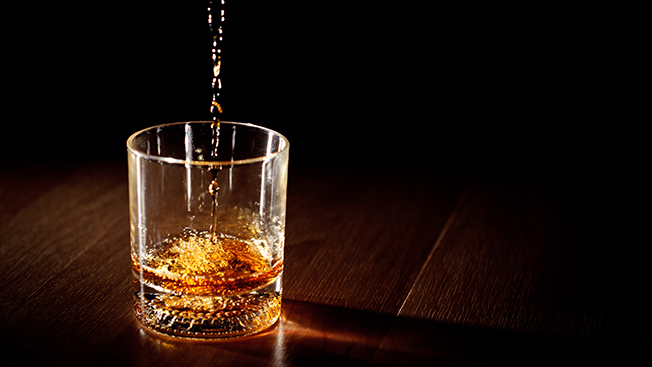 The Journal says Diageo makes more than $4 billion a year from its Scotch whisky line. Diageo issued a post-referendum statement: "The future for this sector will remain bright provided there is no further regulation or taxation on the industry. We will continue to work in partnership with both the U.K. and the Scottish governments to ensure the most favorable business environment possible, both for Diageo and for the future growth and success of Scotch whisky as an industry." If you read between the lines, the statement is a vote for a globalized whisky brand protection that would have been complicated by the business uncertainties of Scottish independence.